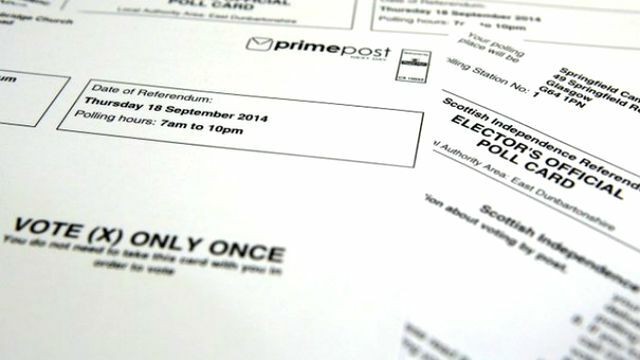 Thòisich daoine a' bhòtadh anns an referendum air neo-eisimeileachd Diciadain agus baileatan-puist a' nochdadh tro dhorsan air feadh Alba. Ghabh riochdairean bho gach taobh den deasbad gu na sràidean ann an oidhirp na bhòtaichean sin a ghlacadh. Bha an t-seann Phrìomhaire, Gòrdan Brown, a' sireadh taic ann an Dùn Dèagh, fhad 's a bha Leas-Phrìomh Mhinistear na h-Alba, Nicola Sturgeon, ann an Sealtainn. Tha am fear-naidheachd poileataigeach againn, Niall O'Gallagher, ag aithris.